I am sure you would have studied synonyms and antonyms during your primary education. Let me ask you a simple question, What is opposite of the word 'ascending'? Word 'descending' is what would have comes to your mind, isn't it? Sure? Or is it non-ascending? If you think that 'non-ascending' and 'descending' are the same, think again because they are not;"1 1 1" and "3 2 1" both are non-ascending but only the latter one is descending. The purpose of this query was to demonstrate that sometimes what appears pretty straightforward is actually not and is highly debata-ble. The same is the case with the title of this article. 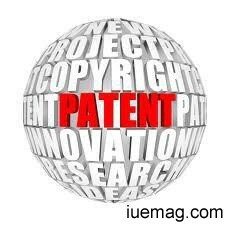 In the last article in this series, we discussed the basic requirements for an intellectual property to be considered patentable. However, you must also know what cannot be considered patentable at all because the answer is not very straightforward or simply the negation of what is patentable. As we discussed in the previous article, the invention has to fulfill the criteria of novelty, usefulness and non-obviousness to be patentable. Of course, what doesn't meet all these requirements is certainly not patentable but wait, there is more. Read on! > The ideology behind patenting, as explained in the previous arti-cles in this series is to protect and benefit the inventor which can get translated into more inventions for the betterment of mankind. The inventors should be prevented from focusing their energies to invent the things which might be of catastrophic effect to the humankind, such as Nuclear weapons or new weapons of mass destruction. Something obviously designed or created to perform illegal activities Narcotics or something that may aid their usage. > On the basis of ethical concerns and some other admonitions, cloning process and apparatus is also prohibited from patenting. > Similarly stem-cell-use processes or apparatus is prohibited from getting patented as embryonic stem-cells requires the use and destruction of human embryos. > A natural process, law, phenomenon or event authored by nature cannot be patented. However, if you can isolate, purify or alter a product of nature, say create a new substance, you might be able to patent it. > A living thing can be patented if that is the result of some genetic changes made to the species which does not occur naturally and which also addresses some problem e.g. a genetically modified plant that is more resistant to rodents or some diseases. > Something you discover cannot be patented as what has been discovered was always there. You uncovered it but did not invent it! > If you are not able to provide details on 'how', it can't be patented. For example, if I claim an invention that can take better photographs of the surface of stars but do not or cannot provide the de-tails on 'how', just the 'what' can't be patented. > Abstract ideas, theories and concepts like mathematics and algorithms can't be patented. You may however patent a new use or application of the same. For example using an algorithm that ena-bles you to produce a software which produces some concrete and useful result, e.g. say it enables more efficient HD audio recording. > There are certain things which are considered by Patent Office as not possible, not useful, against public morality or obviously contrary to well established natural laws cannot be patented. For example, perpetual motion machine i.e. something which once started shall keep on going without the aid of a power source. If invented, may be a breakthrough but non-patentable. > Just mixing of something to obtain what results only in aggrega-tion of properties of the components is not patentable. For example, mixing milk, sugar, chocolate or something similar produces only the aggregation of properties but not something that can be patented. > A mere rearrangement or duplication of the known devices that function independent of each other in a known way may not be patented. For example, a known type of camera connected to a known type of torch which would as well work independently. > Something that is of traditional knowledge or aggregation of what is traditionally known is not patentable. For example, the traditional methods of pickling. > A common confusion is about literary, dramatic, musical or artistic work like music, movies, poems, books etc. They cannot be patented but Copyrighted. It's worth noting that different countries have their own list of excluded items. The above list provides a fair idea of what all is generally considered non-patentable. However, some differences might be observed in different countries.